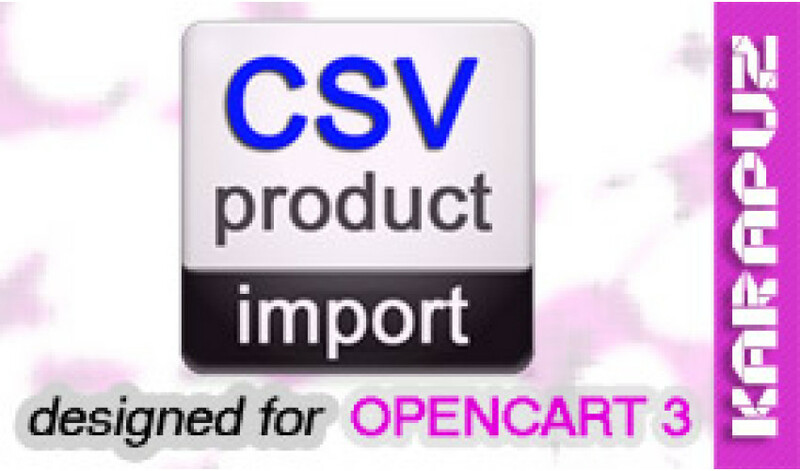 This extension adds the ability to import products from a file in csv format. The file can contain all standard product fields. The extension automatically creates category and manufacturer records in the store. There is no any size limitations for the import file. It splits the import to parts, displaying intermediate results every 10-15 seconds by default. Different file charsets are supported (for example, UTF-8, Windows-1251) but you should be aware of the file charset before you start the import. It is possible to use this extension for periodical update of the main product price and quantity.